Ouchi is renowned for it’s Ajisai festival, beautiful surroundings and and it’s other little quirks. Well worth a visit. Onsens – there are two delightful onsens in the Ouchi area – including Sari onsen which has a glass pyramid for the women’s bath so you can see outside but no one can see in. 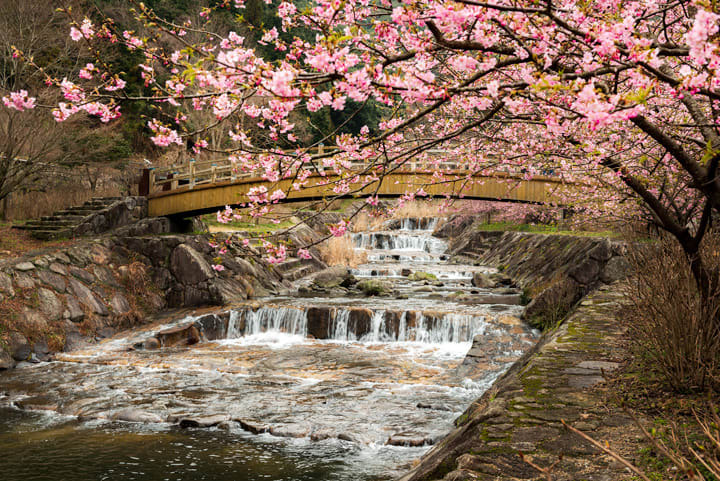 Waterfalls – Ouchi has one of Japan’s top 100 waterfalls – Mikaeri Taki – which is nice in the Spring when they have the “Ajisai festival” celebrating the famed and ever popular hydrangea. Ouchi Kunchi – much like Karatsu Kunchi it lasts three days (the third Friday, Saturday and Sunday of October) and people pull floats around the town. Unlike Karatsu Kunchi there are only two floats, but that doesn’t make it any less of a spectacle. Ajisai (Hydrangea) Matsuri at Mikaeri waterfall – As mentioned above, this is the main event in Ouchi along with Kunchi. 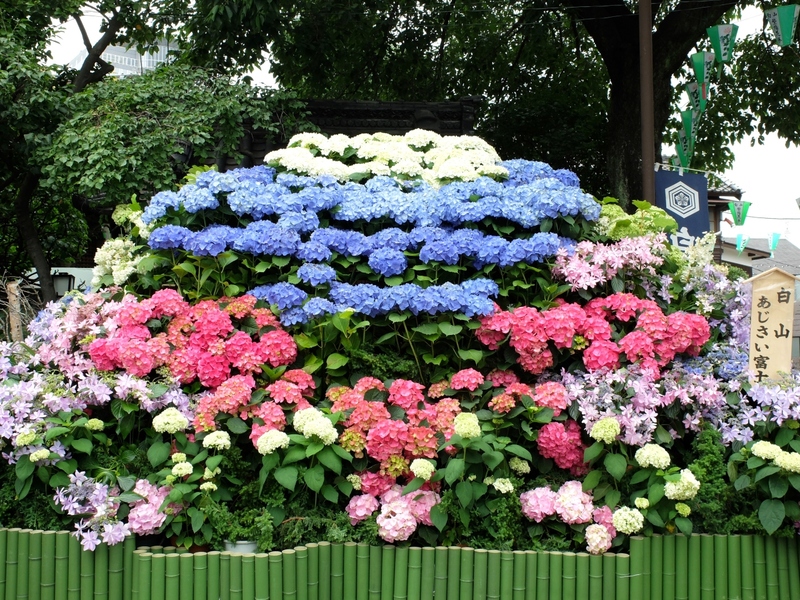 A beautiful site to behold, it lasts throughout June (the duration of the Ajisai season).